On 13 February 1542, Katherine Howard, the fifth wife of Henry VIII, was beheaded in the grounds of the Tower of London. An Act of Attainder had been passed, convicting her of adultery and treason, without the formality of a trial. 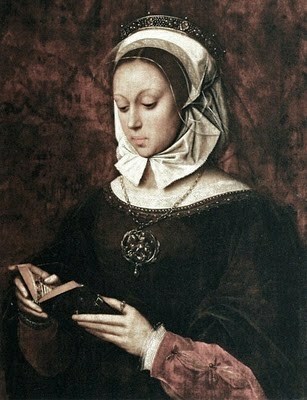 However, many of the well-known facts about Katherine are wrong. Well, probably not. We don’t know Katherine’s date of birth but scholars are increasingly in favour of an earlier date than was previously thought. Until recently, her year of birth was thought to be as late as 1525, making her only 17 years old at her execution. It seems more likely that it was 1520-1. 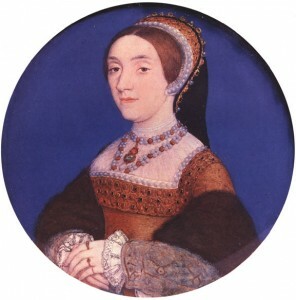 This would mean that she was a mature, by Tudor standards, 21-22 years old at her death. Of course, even 22 is horribly young to die, but in the sixteenth century, 22 was a lot more mature than it is now. By her early twenties, a Tudor woman could expect to be married and have had one or more children. Katherine’s youth is put more sharply into context by the relative age of her husband- Henry was 49 years old when they married. This too, though, was not unusual. Noblewomen in particular were likely to marry an older man. A woman would marry for the first time in her mid- to late teens, a man in his late twenties or early thirties. If it was the man’s second marriage, he would be older still. For example, Catherine Parr’s second marriage took place when she was 20 and her husband 40. 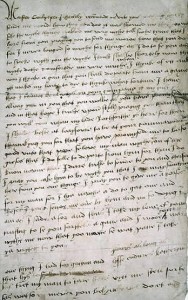 Katherine Howard’s reputation suffers from a rather unjust assessment of her character. We are encouraged to believe that she was involved in a sexual relationship with Thomas Culpeper during her marriage because she admitted to a sexual relationship with Francis Dereham prior to it. Katherine’s past was laid out for all to see in a way which would make horrible modern gossip magazines rub their hands with glee. What is revealed is an unsupervised childhood during which she was involved in a relationship with her music tutor. It was the sort of “relationship” we would now call child abuse. She then became involved with Francis Dereham, a young man with far better breeding and prospects than her creepy music teacher. It is likely that she and Dereham intended to marry and this might indeed have come to pass had not the king shown an interest in her. 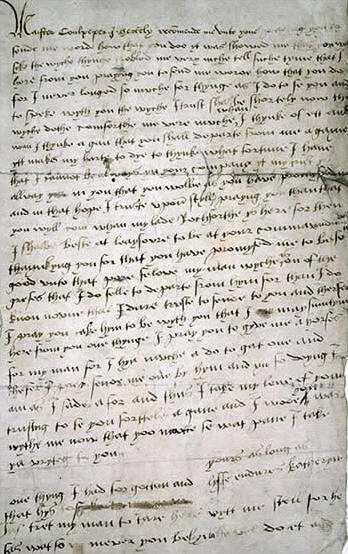 Katherine’s letter to Culpeper shows that she was indeed in love with him in 1541 but David Starkey’s research in his 2004 Six Wives: The Queens of Henry VIII demonstrates that the physicality of their relationship was far less certain. It appears from the detail of her confession that all the couple got up to was some hand-holding and earnest sighing. This fact- the fact of Katherine Howard’s essential innocence- is often overlooked. She oddly, naïvely, believed that her husband was some sort of semi-divine being and she cautioned Culpeper not to speak of their relationship even in the confessional lest Henry find out that way. It may have been that she suspected the priest would inform Henry, but she may had simply believed that as Supreme Head of the Church, Henry would know the way that God knew. There is a romantic story that on the scaffold, Katherine announced that she would have been married to her supposed lover, Thomas Culpeper, than Henry, with the above words. However, the etiquette of execution made such a statement unthinkable. The victim was permitted to address the crowd gathered to see their end, but it was expected that they would speak of their regret, ask for forgiveness and the prayers of those who would survive them and generally be contrite and uncontroversial. Neither Anne Boleyn nor any of the men executed for adultery with her protested their innocence from the scaffold, although they were all almost certainly innocent. It just wasn’t done. It’s therefore unthinkable that Katherine Howard would say such a thing. Her actual words are far more dignified than the romantic nonsense would give her credit for. This is a woman who was so keen to meet her maker with some grace that she asked for the executioner’s block to be brought to her room the night before so that she could practice placing her head on it. Visitors to the splendid Hampton Court Palace are often treated to the tale of poor Katherine’s ghost. It is said to linger in the Haunted Gallery. On her arrest, Katherine broke free from her guards and ran down the gallery looking for her husband in order to plead for her life. She was quickly recaptured by the guards and dragged screaming back down the gallery and into imprisonment. Or so the story goes. Aside from the supernatural question, there are several holes in this story. Firstly, is it plausible that Katherine could have slipped her guards, even for a moment? She was a young woman held by one or two strong men. Royal guards were not in the habit of relaxing their grip on accused traitors. The story also ignores one rather pertinent fact: by the time of her arrest, Henry had already left Hampton Court. He was not in the habit of lingering once he had put his plan to be rid of a wife into action. Anne Boleyn, for example, never set eyes on Henry after the May Day joust, the day before her arrest. He was said to be so bitterly disappointed in Katherine that he could not stand to see her again and he fled the palace so as to avoid her. This entry was posted in Anne Boleyn, Catherine Parr, Henry VIII, Katherine Howard and tagged anniversary, early modern, England, execution, Henry VIII, history, History of Europe, Katherine Howard, London, Tower of London, Tudor on February 13, 2012 by Gillian. Hi Sam. Thanks so much- really glad you enjoyed it. I always have a bit of a bee in my bonnet about how Katherine Howard is so quickly dismissed as bit of a bimbo who just liked boys and jewellery. I’m hoping this can correct that image a little bit. A well needed article to debunk some of the myths that surround Katherine Howard! Nicely done; I shall re-tweet this to my followers since I think it is important that people read this. And although I think we can agree that Katherine Howard was foolish in many ways, she certainly did not have a happy childhood or good people around her to guide her in such a treacherous world. And you absolutely hit the nail on the head in saying that Henry Mannox’s relationship with Katherine Howard would today be considered child abuse. Everything I have read suggests that this was a predatory relationship in which the young Katherine Howard was taken advantage of emotionally and sexually. Being Bess is dedicated to celebrating the life of Elizabeth Tudor (1533-1603) and the legacy of her reign as Queen of England (1558-1603). Sorry for the delayed response. Thanks so much. I’m glad you enjoyed the post and the site. I’m a big fan of Elizabeth I too. Agreed. Thank you for a fascinating and informative post, and for sparking a deeper discussion of such an infamous character in history. Thanks! Glad you enjoyed it. I really rather like Katherine Howard but she gets a very bad press. Excellent article! I’m a bit of a history buff myself and a feminist too. The mixture of the two in your blogs is brilliant, I’m going to read them all! Keep it coming Gillian! Thanks. Glad you enjoyed it, Dee. Hopefully lots more where that came from when I’m settled at uni. Thank you so much! I’m really glad you enjoyed it. I think that Katherine, of all Henry’s wives, is the most unjustly treated. There are re-appraisals and re-re-appraisals of the others but for some reason, everyone seems to just accept the Victorian picture of Katherine. The Tudors fic/doc prompted me to find out more about Anne of Cleves and Catherine Howard Henry said she (Anne) looked like a horse (was that statement true?). In the series Henry was a strapping 40ish in reality he was closer or past 50 and grossly obese. I dont know why these producers intentionally try and recreate history on the small screen. People end up believing it. At Least I know a little more about these two women as a result. Interesting article. I, too, have recently written an article on misconceptions surrounding Katherine, which can be accessed at my blog. I do have to disagree with you, however, regarding Katherine’s age. For me, there is no evidence whatsoever to support a 1520-1 birth. I think she probably was seventeen or eighteen at her execution.